Sunday evening, Old Style hosted Chicago’s first ever Pizza Summit. It’s amazing that a town with so much pride in their favorite food had yet to organize such an event, but we’re so glad someone did. The summit was held at the Chop Shop & 1st Ward in Wicker Park and broken into 2 different sessions, 2-5 PM & 6-9. Hungry and eager to get inside was line down North Ave of likeminded, pizza loving individuals. They were lucky to get in on a Pizza Party that sold out in 3 minutes thanks to the efforts Old Style and Do312. The patient crowd was greeted at the door by a man who definitely looked to be in charge, named T.J., and the awesome Chop Shop staff. Partiers were led toward their destiny for the evening, which would have been appropriate to the sounds of Willy Wonka singing “Pure Imagination“. Once checked in, you were handed 5 tickets that gave you plenty of Old Style to wash down the feast that was about to ensue…and a pretty cool personal pizza slice plate. And yes, we have a secret #HomeRunInnHandshake that only the cool kids know. They brought the super innovative “Pizza in a Bag” with them. With a polish sausage pizza that is to die for. If you go anytime soon, try the veggie pizza with mashed potatoes in it. Trust me. They kept it simple, and simple was perfect. The famous family recipe, that we all recall made Jon Stewart chill for a minute. I tried Mac & Cheese pizza for the first time, and it made me into a believer. In case you can’t read that description, it says BBQ pizza with five-spiced braised pork belly and Wisconsin cheese curds. Yeah. Immediately after that last dough throw into the crowd, the Alan Parson’s Project (better known locally as the Chicago Bulls intro music) was cranked to the max in the room! Yes, capping off the week where he formed the PARTY Party for this year’s election season, Andrew W.K. spoke to pizza loving, party-till-you-puke crowd about what it means to live positively and the kind of joy pizza brings to people everywhere. To sum it up as eloquently as possible, IT WAS COOL AS HELL…I’d rank it ahead of Rocky’s speech after defeating Ivan Drago. To perfectly wrap up his State of the Pizza Union address, Andrew W.K. led supporters in chant worthy for such an event. He then met with fans and pizza-lovers alike. Even Snapchat Face-Swapped with my partner in crime for the night, Kristin. Whose hair looks better? Serious question. The fun didn’t stop there. Upstairs, the U.S. Pizza Museum debuted its epic collection. The museum will be at The Chop Shop on April 4th for you to check out, and then you’ll have to find out where they POP UP NEXT by following their Facebook Page. They had some really cool swag that’s very much worth snagging for yourself or that special pizza fan you know and love. Also upstairs was a sweet little getaway section where bartender extraordinaire Kristen mixed us some Old Fashions to go perfectly with our Old Styles. Serving as a connector between the bar and the rest of the summit was an awesome rooftop patio that was made better by great weather. Providing excellent tunes, sound and projector GIFs on the wall all evening were the tandem of Kristin and Eric. Overall, it was a really fun time filled with super nice people, pizza and partying. Looking forward to the next one already. Well done, Old Style Chicago. Here are some more scenes from the 2016 Pizza Summit. Follow along for more adventures on Facebook or Twitter. Be sure to subscribe to The Piffcast on iTunes as well. No, not fans of the Milwaukee Brewers who may be partial to Miller-Coors. It felt like one more ad for Budweiser, although not nearly as good as the one featuring Helen Mirren. Some people were angered by the gesture, calling Manning a sellout. I had no problem with it, considering someone does the same thing every year or yells that they are “going to Disney World!” It turns out that Manning wasn’t paid by Budweiser to say anything, according to the head of their marketing-communications department. Hi Internet. For the record, Budweiser did not pay Peyton Manning to mention Budweiser tonight. We were surprised and delighted that he did. Maybe Manning just really likes Budweiser. I don’t mind it myself, but I would prefer drinking craft beer…and so do the Brewers Association. Posted by CraftBeer.com (the official medium of the Brewers Association), the “not-for-profit trade association dedicated to small and independent American brewers” has sent Manning a care package of some of their favorite beers. What other craft brews would you recommend to Peyton Manning? Let me know on Facebook or Twitter. By now, nearly storyline and angle for the Broncos and Panthers have been hashed out going into the Super Bowl. The Prop Bets are available to keep the non-football fan interested, which include wagers on things like how long Lady Gaga will sing the anthem, which song Coldplay will play first, and what color the Gatorade is that will be dumped on the winning coach. Even the commercials are getting leaked early (although I think that takes some of the fun out of it). The Denver Post and The Charlotte Observer are also in on the game with their own friendly bets. If the Broncos win, the Post will receive “No. 1 IPA beer in the country” Hop, Drop and Roll (brewed in Charlotte) as well as some World Famous barbecue. If the Panthers win, the Observer will receive a broad selection of Colorado craft beer and bison steaks. A tradition that we began here a year ago was to go beyond the teams playing the game, and compare the regions they’re from in EVERYTHING BUT FOOTBALL. Last year, New England had the edge over Seattle in our game here and eventually won the Big Game itself. So for the fans (and newspapers) of each team, lets see how they stack up. John Denver, Ginger Baker (drummer), Earth Wind & Fire, Flobots, The Fray, India.Arie, The Lumineers, Glenn Miller (Jazz), Neutral Milk Hotel, OneRepublic, Pretty Lights, Big Gigantic, Judy Collins, The String Cheese Incident, and Nathaniel Rateliff and the Night Sweats. James Taylor, Tori Amos, George Clinton, K-Ci & JoJo, Anthony Hamilton, John Coltrane, Ben Folds, Petey Pablo, Fred Durst, The Avett Brothers and Ryan Adams. This may be the toughest call, considering how subjective music is for everyone. However I’m taking quality over quantity here. Fred Durst and the EDM of Denver cancel each other out for things I’m good without. There are more pop acts in Denver, if The Fray and OneRepublic are your thing. Both regions bring the Funk with George Clinton and Earth Wind and Fire. But I’ll take the Carolina singer songwriters (Taylor, Adams and Folds) over John Denver *skypoint*. Bonus Points too for my favorite school slow dance song ever, “All My Life” by K-Ci & JoJo. South Park, Community, Diagnosis: Murder, Dr. Quinn Medicine Woman, Nikita, Stargate SG-1, The Real World: Denver, The Man in the High Castle, Dynasty and Mork & Mindy. East Bound and Down, Dawson’s Creek, The Famous Jett Jackson, One Tree Hill, The Andy Griffith Show. There isn’t too much programming set in either region. Community and East Bound and Down duke it out pretty well for comedies. I do love Andy Griffith and that whistling will be stuck in my head for the rest of the month, but 19 seasons of South Park is too many to pass on. Sorry, One Tree Hill fans. Cape Fear, Carrie, Cold Mountain, The Descent, I Know What You Did Last Summer, Kiss The Girls, Maximum Overdrive, Pitch Perfect, Talladega Nights: The Ballad of Ricky Bobby, Tin Cup, A Walk To Remember, and Bull Durham. Carolina makes a case with solid Kevin Costner sports movies. But Denver has two amazing Christopher Nolan films (Interstellar and The Prestige) the better Stephen King horror flick between The Shining and Carrie…and Dumb and Dumber. It was a tough call, but I drooled the most researching all that southern comfort awesomeness. Both seem perfect if you love the outdoors. I think if you love skiing/snowboarding and weed, you’ll probably lean toward Denver. The idea of mountains, beaches, and some college sports staples have me wanting to visit Carolina first. Red Rocks is a hard venue to pass up though. This one is depends on your tastebuds, but I’ve always been partial to Colorado beer. Carolina seems to be on its way though. …plus the fact that state produced the greatest player in NBA history. Who has the edge, in your opinion? Let me know what you think on Facebook or Twitter! Big thank you to Dago Cordova, Mike Kvackay, Jennifer Witkowski and Donald Moenning for help with firsthand research. Consider this a cognitive therapy session to help you feel better about the season that several of your friends and family have moved away from. 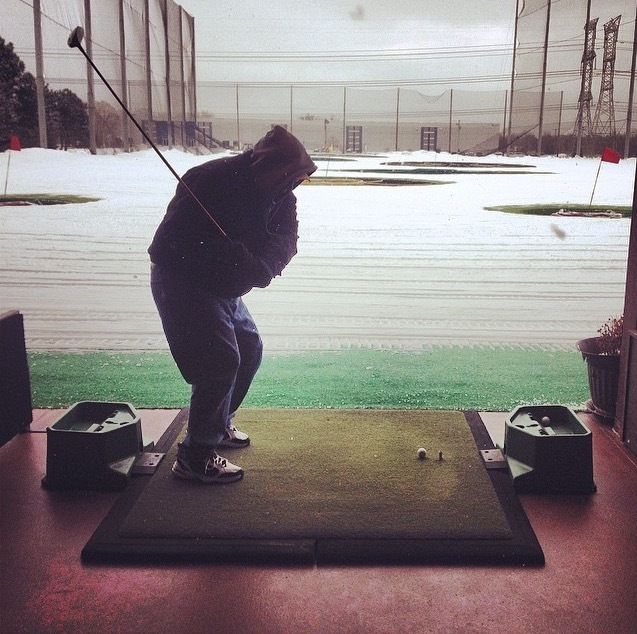 If you still live here after the past two winters, congratulations…you’re a midwesterner. You grew up with 4 seasons, strapped on your snow pants, found creative ways to de-ice your windshield because you forgot your scraper, and you haven’t been stomped by AT-ATs on State Street…yet. I personally like snow and I know I’m not alone. I also don’t mind a trip somewhere warm in order to endure it with a tan, but I take pride in where I’m from and love that I can appreciate the other 3 seasons because of Winters here. You also get an awesome and natural excuse to stay in and binge watch Netflix shows with a glass of some-something. So before posting your super cliche “ugh, Chicago Winter. Get me out of here” Facebook status, turn up 93.9 on your radio for 24/7 holiday tunes and consider some proactive options that you can’t get most places. Lions, Tigers, and beers…oh my! You read that right. Along with a whole calendar of events, you can peruse the zoo with beers (and maybe Bears) or other adult beverages as the whole place gets lit up like you’ve never seen before. It’s free to enter, as always, and there’s a number of activities to partake in including rides, crafts, and seeing Santa. There are a few dates to mark on the calendar as well. Want to know a great way to stay warm in Chicago? Laughing. 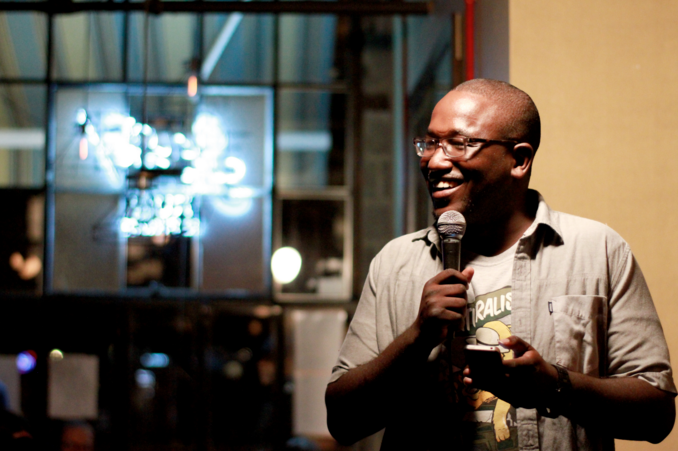 Where better to do that than in a tiny cramped venue, brushing shoulders with the table next to you, sipping on a rum and something, and then forgetting it all with belly laugh after belly laugh. Or you can get literally spontaneous comedy at any of the improv institutions that helped put Chicago on the map in show business like Second City, iO or Comedy Sportz. Last, but not least, John Oliver is performing at the Chicago Theater December 30th and 31st. Maybe don’t miss that. 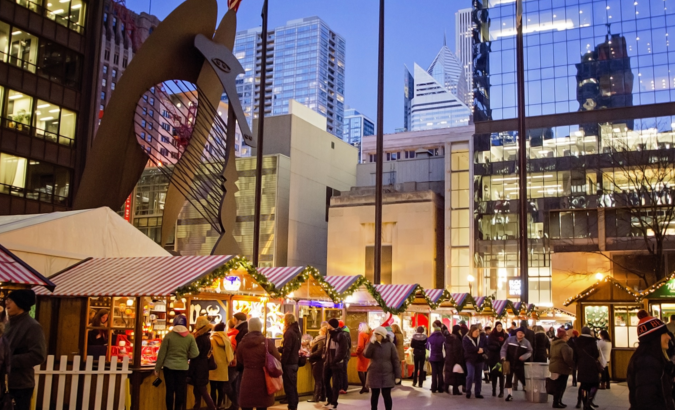 I’m sure you’ve heard of it but in case you’ve never been, head over to Daley Plaza at Clark and Washington to see for yourself. The tradition began in Nuremberg, Germany in 1545 and was brought to Chicago in 1996. It’s considered the largest open-air Christmas festival in the city, but my favorite part is the mug of hot wine that I can mosey about with. It’s open till Dec. 24th, so get over as soon as you can. This is Christmas nostalgia at it’s finest for most of us who grew up around Chicago. Winter break from school, Mom and Dad have some last minute shopping and your family from New York is in town…where do you head to? 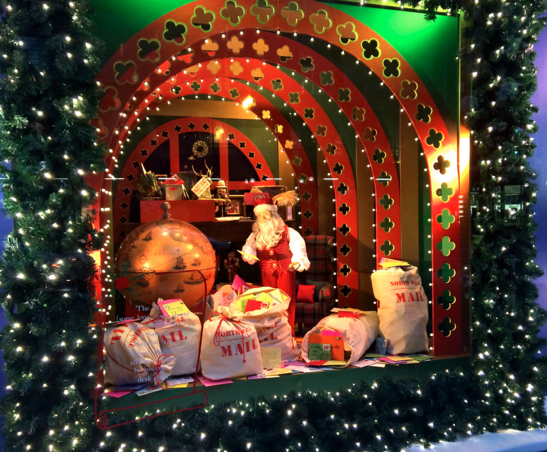 State Street, that great street, to see the windows at Marshall Fields. Every year there’s a different story being told around the building, and people of all ages can’t wait to see what’s next. Inside, on the 7th floor is another sight to behold. 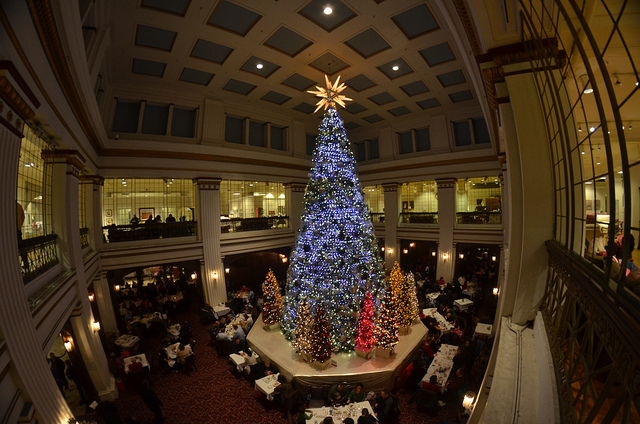 The Walnut Room has been a Chicago tradition since 1907. If the pre-sale numbers and the marketing haven’t already told you, people are excited for Star Wars. So how can you best celebrate the release of Episode 7? The Whistler in Logan Square will be transforming their bar into the Mos Eisley Cantina on December 16th. 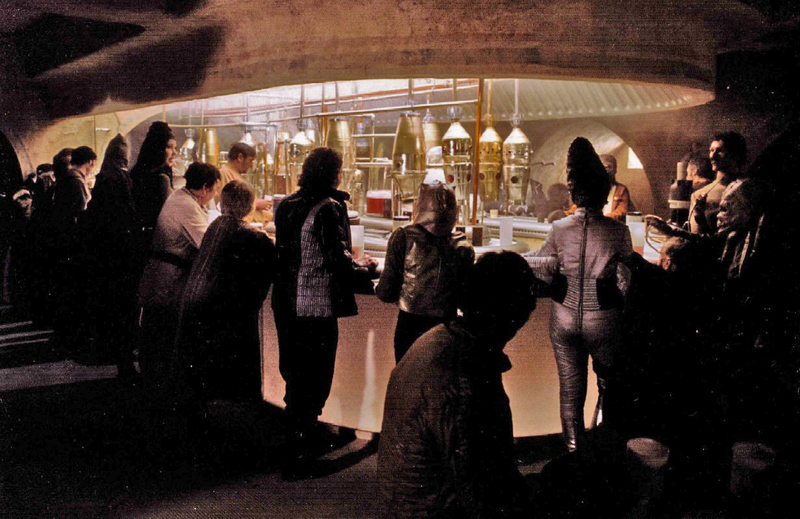 There will be local musicians on hand as the house band from A New Hope and the cocktail menu will be overhauled with galactic themed beverages. Then there’s Adler After Dark the next evening, December 17th, as the Adler Planetarium will be hosting a Force Awakens party unlike any. The Force is strong, yes? 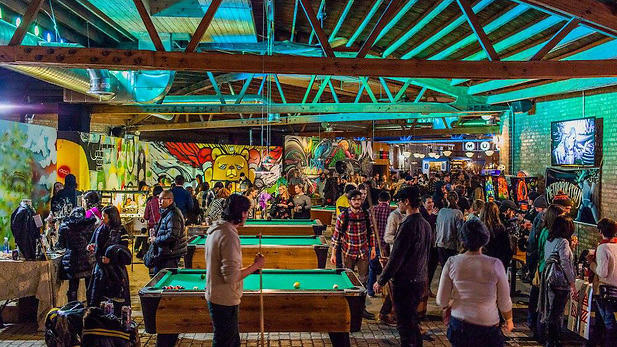 It’s a roving night market, self-described as being “dedicated to emerging culinarians, artists and that guy from high school who’s a DJ now – an evening of food, art and debauchery set to the tune of “Hypnotize”. Intrigued? Sure you are. December 15th, SAUCED will be at Emporium Arcade Bar in Logan Square for your not-yet-last-minute holiday shopping, great food from Chicago vendors, and craft beer. It sounds way too interesting to pass up. Love art or just any alternative to retail? This is for you. 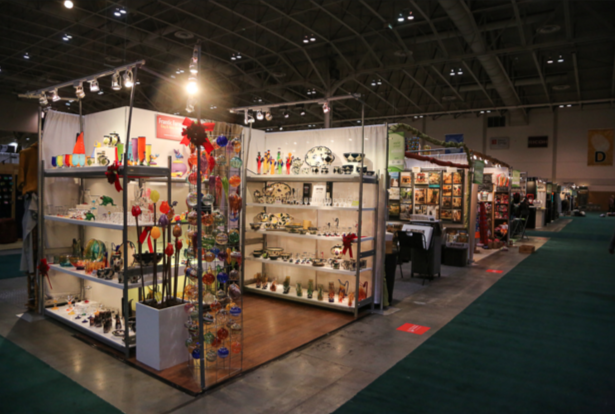 From December 3rd – 6th, 600 artists from across North America will be at the Merchandise Mart on Orleans with every kind of handmade creation you can think of. All the One Of A Kind Show info is here. 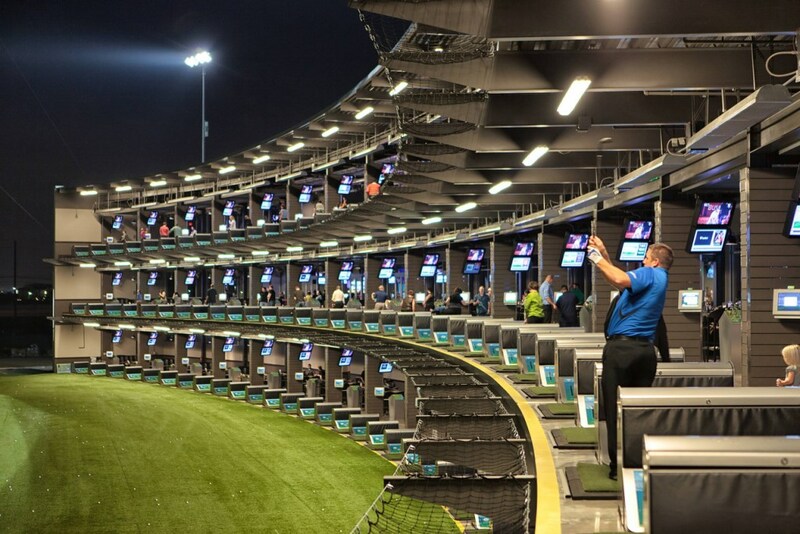 I find it funny that there are still people around Chicago who haven’t caught on to Topgolf. It’s the grownup version of Chuck E. Cheese, Enchanted Castle, Leaps & Bounds, or whatever kids amusement place you used to frequent when you were younger. It’s golf meets bowling, where each individual ball you hit has a chip inside and you aim for targets to score points against your friends. Full bar, great food, multiple monitors to watch sports, parties every night…and you it’s open year round with plenty of heat. I actually went with my dad on the coldest of year and it was an absolute blast. Here’s proof. If you have anymore recommendations to make December better, please pass them along on Facebook or Twitter. In an effort to promote the amazing brews of the Chicagoland area, I’ve begun devising a plan to visit and try more than 77 breweries in 18 hours. A gentleman accomplished the feat in Portland, and the ultra-competitive midwesterner in me wants to top it. Thankfully, some fellow enthusiasts are game and so are some of my favorite breweries. @Mike_PiFF03 @piecechicago @RevBrewChicago That's quite a challenge- Let us know how we can help. And if we can come along! Cheers! Now we’re identifying all potential breweries we can possibly visit before planning a route. Going off the Hop Review database, there are 67 breweries in Chicago and 87 in the areas around the season. While there are Illinois breweries listed as far north as Zion, I think Tighthead Brewing in Mundelein is where I’m willing to begin. There are a number of south suburb breweries as well but for time’s sake, going as far as the Northwest Indiana (notably 3 Floyds), sounds worth the finish. The next steps will include plotting a route with 80 or so brewers chosen, and then reaching out to each one to see what’s good. For now, here is a preliminary list of where the #ChiBrewChallenge adventure could go! There are 154 breweries total listed but if you know or recommend others, please let me know on either Facebook or Twitter! I can also be reached by email at piff.michael@gmail.com. Check back as the plan keeps coming together! John Lovegrove had his first beer at 7:00 AM and his 77th at 12:55 the next morning. 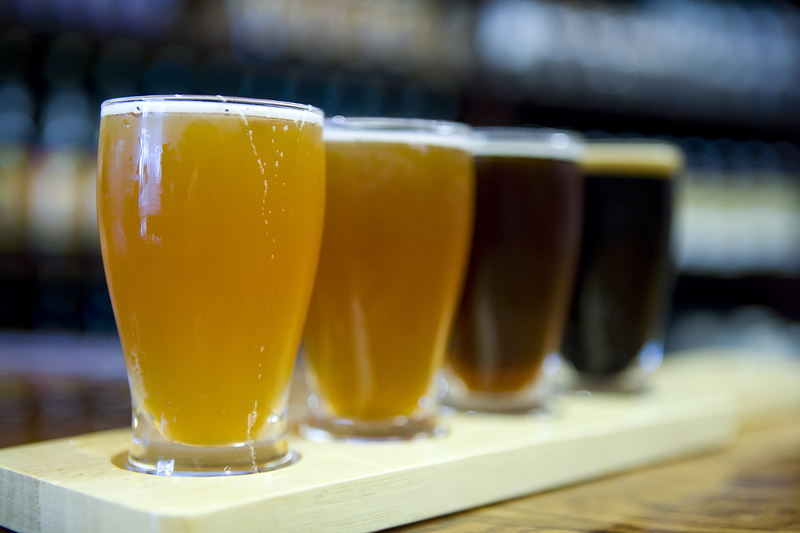 Here’s the timeline of every brewery he stopped at and all the fun his crew of 7 had. Lovegrove had a pint at his first brewpub and another at the 50th, then drank from his one-ounce stein at the 75 others…which is very responsible. The #SpiritOf77Breweries Challenge was an awesome project to promote the amazing breweries of Portland. I’d love to do the same for the Chicago area. By The Hop Review’s count, there are at least 66 in the city, 85 around it. Let’s see if we can hit more breweries in 18 hours than Lovegrove did. The Chicago Pizza and Food Truck Challenges were fun (and still ongoing). Those projects took months to execute, but this will take just a day…and a lot of time to plan leading up. You have to start somewhere though and that’s what this is…the beginning. The date and route are still TBD. Any Chicago beer enthusiasts and breweries interested in helping out are welcome! Let me know on Facebook and Twitter, or email me at piff.michael@gmail.com with serious inquiries. Feel free to share this with anyone who wishes to partake. September is my favorite month. It’s the start of football season, sweater weather, and the midwest is absolutely gorgeous as the leaves start to change. What we can also look forward to is another full month of National Food Days. 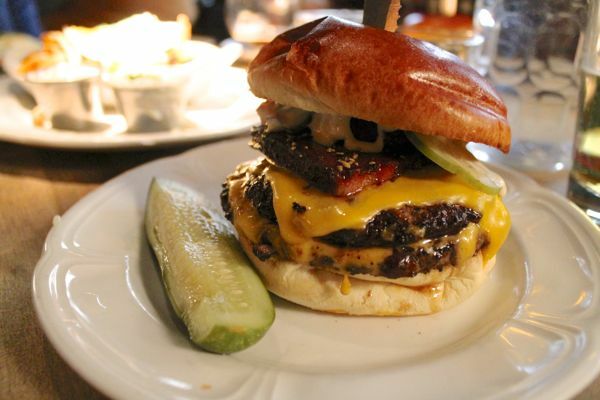 We did the same in July and August and today happens to be #NationalBurgerDay. So plan accordingly. Usually people are caught off guard or feel like they may have missed out because they didn’t know about the social media driven holidays. Here’s your chance to get ahead of the curve and get the calendar ready for some awesome food and drink experiences. 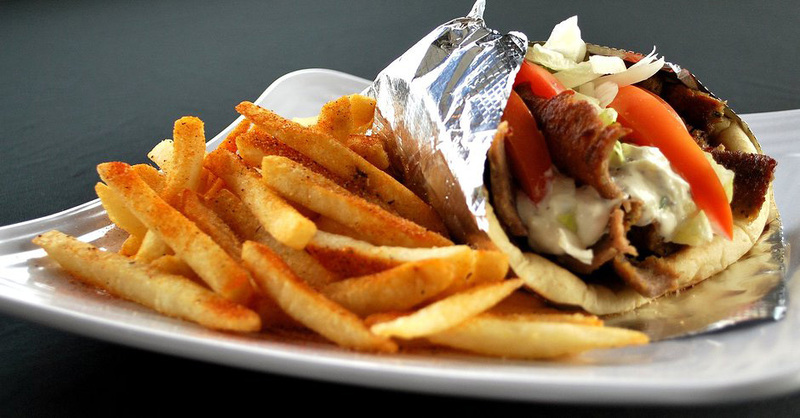 Whether you pronounce it “yee-roh” or go full on Bridgeport and say “Jye-roh”, I take my gyros very seriously. It’s one of my favorite combos of rotisserie meat and sauce and goes perfectly on pita. Why yes, yes that is Labor Day. So you really don’t have an excuse to find a nice patio or crack a few on your back porch, and enjoy your favorite brews. Recommendation: Find a nearby brewpub/brewery (like Revolution) or bar that specializes in beer options (like The Beer Market), and order an excellent beer flight to your liking. 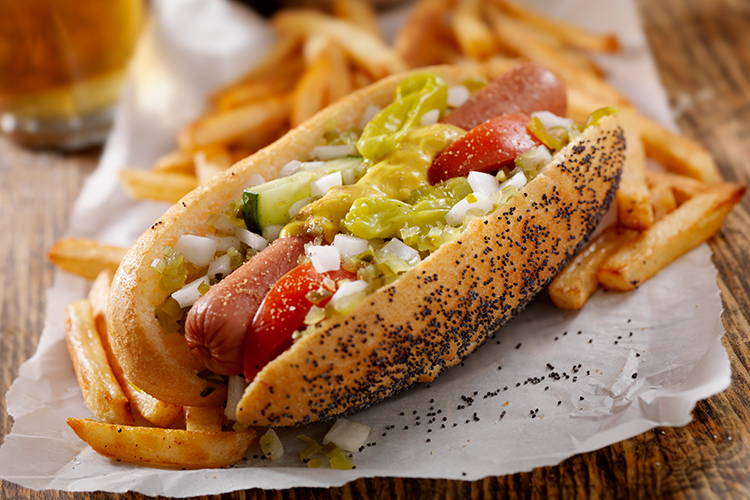 Before you ask, there was already a #NationalHotDogDay back in July…but who’s complaining about having to eat hot dogs again? Personally, I’m a polish sausage guy but that IS my birthday. So I’m down. Recommendation: Go to Gene and Jude’s, trust me. And bring your own ketchup to apply in the car…because you’ll be shunned if you ask about it. Hard to find a good milkshake for less than $5 today, amirite…? Recommendation: Oberweis. Go inside too and get one of those big fish bowl sized glasses too with a cookie straw. The thinner the pancake, the better…in my world. I’m Swedish, so you can’t blame me. Recommendation: Walker Bros Original Pancake House. If you also like thin pancakes, get the 49er flapjacks. The Apple Pancake is like the “deep dish pizza” of pancakes. Foodimentary.com has the full September schedule. Have some more recommendations for those wishing to partake in these holidays? Let me know on Facebook or Twitter.